Thomas Harrison is the originator of Take Me Back to Mayberry. What began as a local church Sunday School class quickly turned into a highly-publicized event. Local newspapers (Broken Arrow Ledger and The Oklahoman) featured Rev. Harrison and his class in human interest stories. Dr. Harrison is the author of dozens of articles. 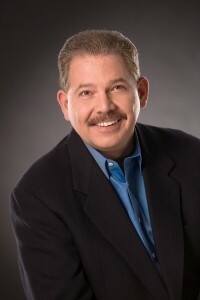 His work has been featured in: The Wall Street Journal, USA Today (online), The Oklahoman, Tulsa World, Broken Arrow Ledger, The Harvest Show, Daystar Television, FamilyNet, Church Executive Magazine, The 700 Club & CBN News, and others. Dr. Harrison operates Media Embassy a Tulsa, Oklahoma based communications agency specializing in assisting non-profit organizations in the faith community. He is a sought-after speaker and church consultant.